Get the penguins in line! If you liked Penguins on Ice from SmartGames, get ready for Penguins Parade! This new magnetic travel game provides hours of fun, with 48 challenges included. 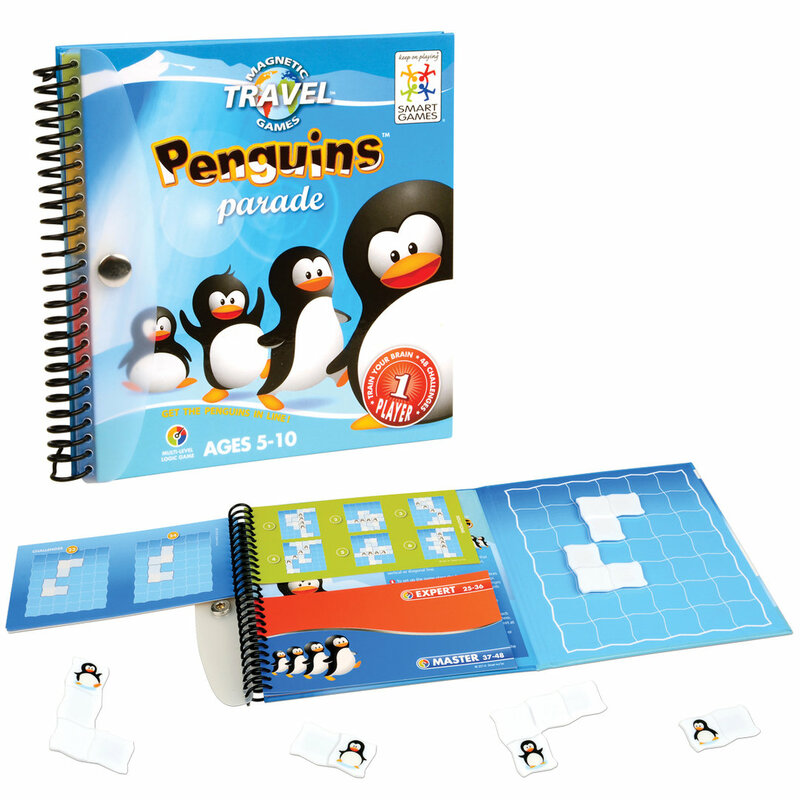 Penguins Parade is a great brain game for kids, and perfect for travel.